Since their first release, the band Alvvays has been making an impact in the exciting genre that is indie-pop. “Antisocialites” is their long awaited second album following their self-titled debut in 2014, which included their breakout hit “Archie, Marry Me”. The band’s Canadian lead vocalist, Molly Rankin, has a melodic, fairy-like voice that blends beautifully with the remaining band members’ groovy pop sound. This release is endlessly exciting for many reasons. Firstly, “Plimsoll Punks” is possibly the catchiest track on the entire album. Once you listen to this song twice, its tune will follow you around everywhere. It’s a brilliant display of Rankin’s use of imagery in her lyrics. The song begins, “When I chip through your candy coating/ You're stuffed with insulation/ Just strawberry ice cream floating/ With a sprinkle indignation”. Clever lyrics, matched with incredibly fun/punchy guitar riffs, create a perfect pop hit. 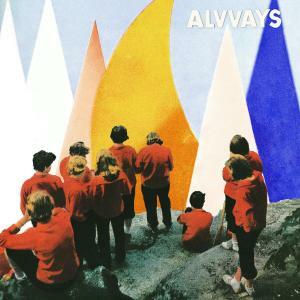 The track amplifies Alvvays’ quirky style and sense of humor, which make the band so unique. Next, let’s discuss “Not My Baby”. The track hits hard with powerful lyrics and a dreamy introduction sequence that makes an impact every time you hear it. The intro features the sound of a car starting up and driving away. Quite possibly, this symbolizes the end of a breakup – when the conversation is over and it is time to turn around to begin again. The song becomes essentially a rebellious anthem written for anyone who has felt this kind of pain and loneliness. During the second verse, Rankin sings, “You can write it down with a fountain pen/ Close your eyes and then count to ten/ You can tell your friends that I don’t make sense/ And I don’t care”. The track exudes both the vulnerability and power one might feel as the result of a breakup. Rankin is no longer concerned about what her ex thinks about her and she is ready to focus on herself. This is an important lesson, yet the song portrays it in a very simple way. Finally it’s time to discuss the seventh track on this release, “Lollipop (Ode To Jim)”. Upon first interacting with the track, I truly was not a fan. I thought the song sounded a bit like a candy bar commercial. However, after listening to the entire album several times it quickly became one of my go-to songs. The chorus reads, “You’re a lollipop/In the form of a lightning bolt/ You’re a lollipop in my hair/ You look like Iggy Pop/ Circa ’73 or ‘4”. The tune of the song is incredibly catchy and I can’t seem to get it out of my head. It’s just a really upbeat song that makes any mundane task more enjoyable. Overall, “Antisocialites” is an incredibly dynamic and impressive display of Alvvays’ songwriting aesthetic. Every song succeeds in communicating a unique message and emotion. I would like to also add here, that I have had the pleasure of seeing Alvvays tour after this release and they completely blew me away. Their music is just as magical in a concert setting and Molly Rankin’s voice sounds just as beautiful live as it does on the album.